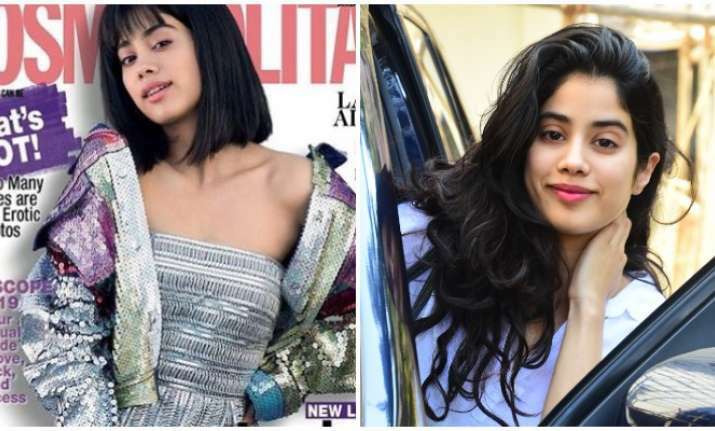 Janhvi Kapoor shows off her never-seen avatar in the photo shoot by going chic and blingy. Bollywood newbie Janhvi Kapoor enjoys a massive fan base. She is a diva and can pull off any dress with utmost ease and grace. Whether it is easy breezy pajyama, beautiful saree or chic-style dress, Janhvi knows how to look perfect. Thanks to her team of stylists! Recently, to celebrate half-sister Anshula Kapoor's birthday, Janhvi along with her dad Boney Kapoor, sister Khushi Kapoor and half-brother Arjun Kapoor went to Singapore. It was the first and much-needed getaway for the family. Janhvi took to Instagram to wish Anshula. She wrote, ''Everyone's most special. The reason we feel loved and safe. So thankful I have you to look up to. I love you more than you can imagine, always. HBD bro." Janhvi recently received the prestigious "Arts Stjerneskudd" (Shooting Star of the Year) award by the Royal Norwegian Consulate. Sharing her happiness on getting the award, she said, ''I am very happy to be here. It's such an honour. Any type of award especially this award, really means a lot to me. Any type of encouragement means the world to me. I hope to keep doing good work and make my audience happy." Janhvi made Bollywood debut this year with Shashank Khaitan's Dhadak, co-starring Ishaan Khatter.